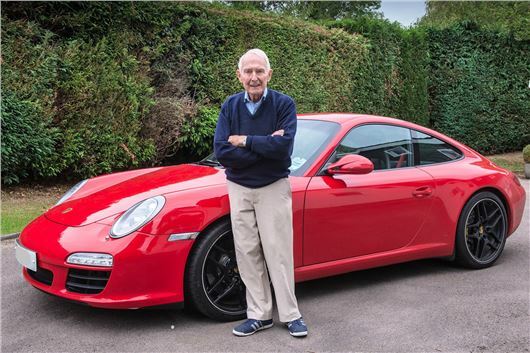 Former Yorkshire motocross champion Philip Green has been praised for his outstanding driving after braving an IAM Mature Driver Assessment in his Porsche 911 at the age of 89. Despite having over 50 years’ experience in both driving and riding, Mr Green undertook the IAM assessment to gain more confidence of his continued ability behind the wheel. While the assessment is designed to give older drivers a trusted second opinion, Mr Green urges other drivers in their 70s to 90s to take an IAM driving assessment to gain a sense of self-satisfaction. Assessed across a variety of roads and dual-carriageways IAM examiner, Ross Williams said: “Philip’s hazard perception skills are highly commendable. He handled the vehicle very well and demonstrated the ability to make all adjustments in speed smoothly and steadily”. Having owned more than 10 performance cars over the last 30 years, Philip added: “There’s a real misconception that not everyone can drive a Porsche, but they’re not at all fiery or fast – unless you want them to be. I drive my Porsche every day and it is a safe vehicle”. IAM director of policy and research Neil Greig said: “We understand the need for mobility and independence at all ages – and how much people want or need to drive. Philip Green is a fine example of what older drivers can do if they don’t give up too early. That’s why we’ve developed a number of driving assessments, including a Mature Driver’s Assessment – so that the likes of Philip can happily continue driving his Porsche for many more years”.